Look no further ~ an urban oasis in the city! The serenity of an expansive one-acre lot taking in peaceful views of Pohick Creek, birds, wildlife and more. 3 Bedroom/2 Full Bath, with the master on the 1st level. This cape-cod style home was built in 1952 with major renovations completed in 2003. Kitchen completely remodeled to include custom built solid maple cabinets, granite countertops, stainless steel appliances, a walk-in pantry, tile flooring and spacious dining area. Main living area includes hardwood flooring and reflects custom made bookcase and beautiful molding throughout along with thermal pane Andersen windows. The Den addition was added in 2016 featuring hardwood flooring and a large cozy electric fireplace that conveys. New HVAC, Electrical Panel and Water Heater (2011); New Roof (2016) and updated neutral paint throughout the whole house (2019). Unfinished basement can be imagined in so many ways: wine cellar, workshop, canning center and more. Large detached custom built 2-story garage completed in 2008 with ample space for parking, workshop and storage. Two sheds on property to store all your lawn equipment and more. Outside boasts above-ground planter boxes and spacious area for large garden if desired. Close to many amenities: I-95 and Route 1 access; minutes from Fort Belvoir; VRE/Amtrak Train; Auto Train; shopping centers, restaurants and medical facilities. This is a move-in ready home! Must see full property in daylight to appreciate ~ what an opportunity! Directions:I95 to VA-642, Lorton Rd. SchoolsClick map icons below to view information for schools near 7807 Lorton Rd Lorton, VA 22079. Home for sale at 7807 Lorton Rd Lorton, VA 22079. Description: The home at 7807 Lorton Rd Lorton, VA 22079 with the MLS Number VAFX849464 is currently listed at $520,000 and has been on the Lorton market for 72 days. 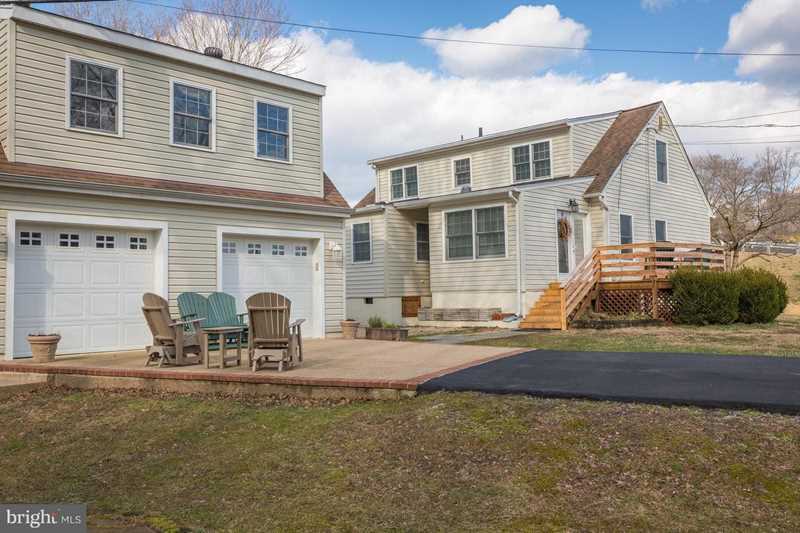 You are viewing the MLS property details of the home for sale at 7807 Lorton Rd Lorton, VA 22079, which is located in the None Available subdivision, includes 3 bedrooms and 2 bathrooms, and has approximately 1746 sq.ft. of living area.